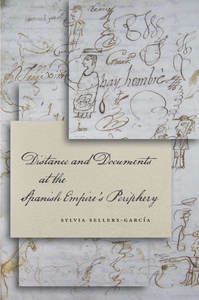 The creation, movement and storage of paperwork in colonial Latin America, part of the expansive Spanish Empire, is the focus of Distance and Documents at the Spanish Empire’s Periphery (Stanford University Press, 2013) by Assistant Professor of History Sylvia Sellers-García. She was recently interviewed by Senior Reference Librarian Elliot Brandow about the case that served as the genesis of her study– a witchcraft trial in early 18th century Guatemala– and why the study of a place beyond the center of the Spanish Empire matters. This entry was posted in Boston College Authors and tagged Guatemala, History Department, Latin America. Bookmark the permalink.